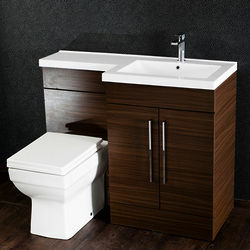 Italia Furniture > L Shaped Vanity Pack With BTW Unit & Basin (RH, Walnut). 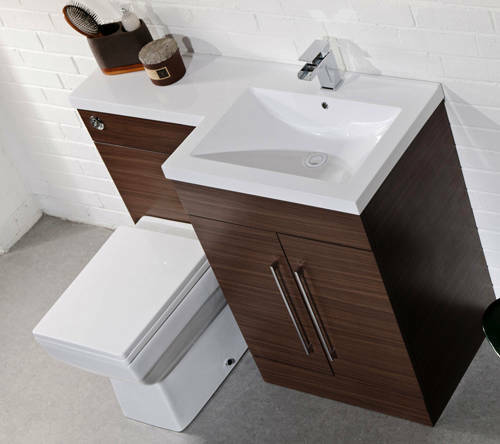 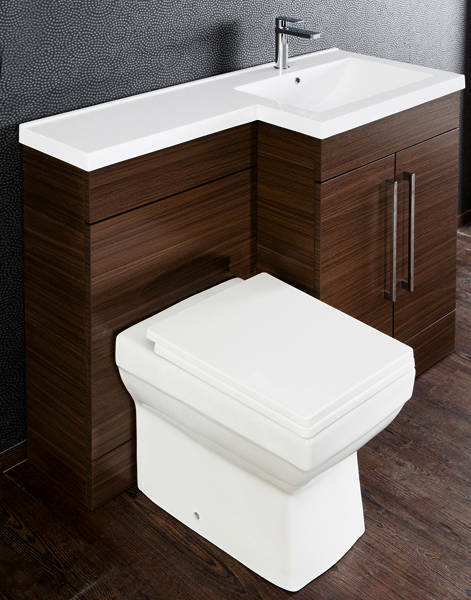 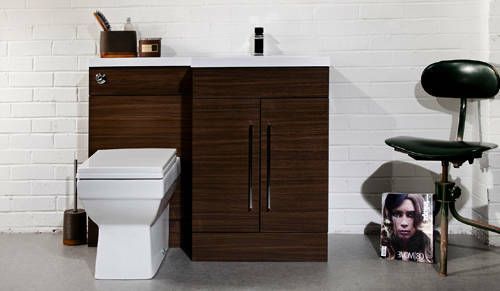 Maze L shaped bathroom furniture pack in walnut finish with vanity unit, btw unit and basin (right handed). 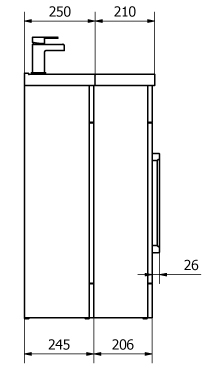 Floor standing with double doors. 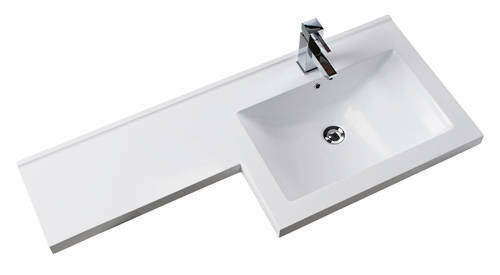 L shaped solid polymarble basin and worktop in one (1 tap hole). 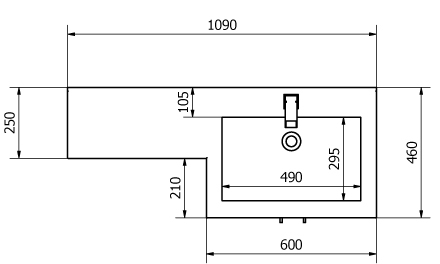 Soft close hinges (cushioned silent close). 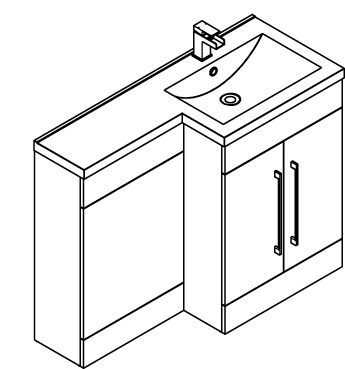 Service void for easy plumbing access. 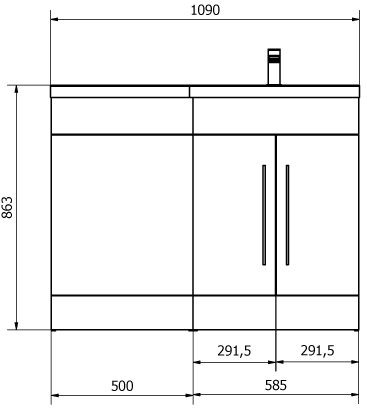 Complete unit size: 1090W x 860H x 460D mm. 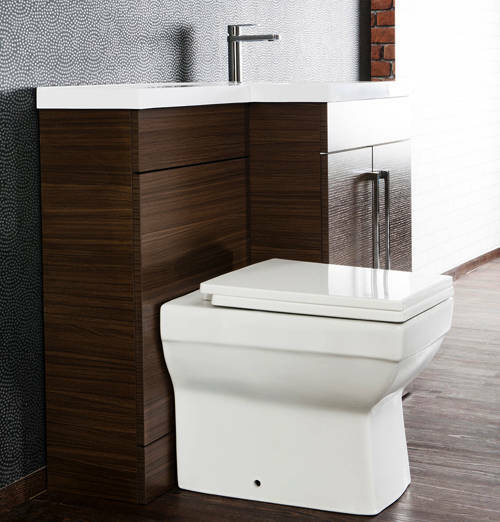 Toilet pan, cistern, flush button and tap are also available (sold separately).